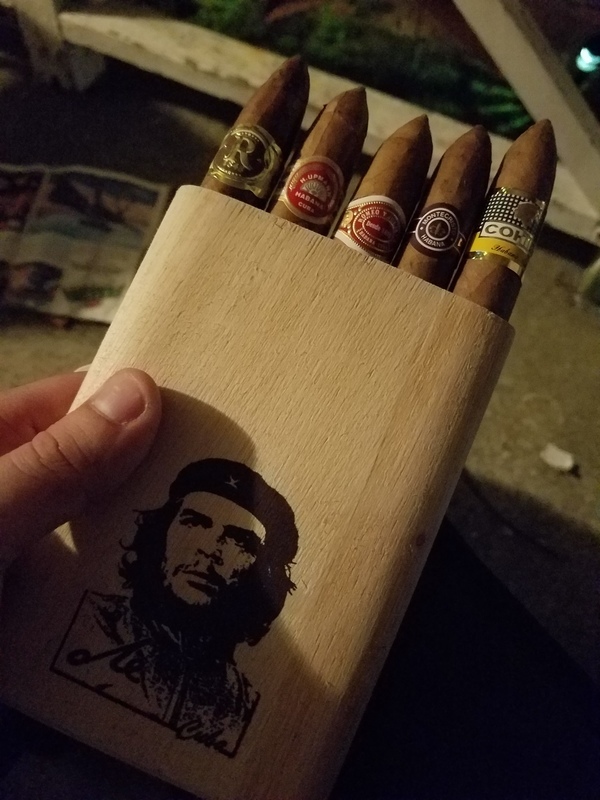 These are cigars right from Cuba, brought back by a neighbor after a week long cruise. The stories he told me makes me want to obtain a passport for a cruise to Cuba myself. It sounds like Cubans appreciate life, know how to stop and enjoy things, not to worry about time or work. Fear57 Don't let the cigars, drinks and beauty fool you. It's still a Communist Police State. Since my neighbor went in a tour group it was around the third day they noticed a guy who was not in their group with them and no one had seen him on the ship. He's what they call a Minder. He's a plain clothed Secret Police, he's not there for the tourists, he was there for the guides to make sure they weren't telling things like "Oh we have wonderful healthcare but only if you're rich or a Government official." One guide said the country is Liberalizing in very slow increments. A new law in Cuba is that the President can only serve two five year terms. It's a Parliament Government, the people vote for a member of Parliament to be President, and then Parliament elects a member as President. Cuba only has one party. The Socialist Party of Cuba. Almost all buildings had blue tanks attached to them and the guide explained that they do not have running water everyday, on the days when it is not run, the tanks have collected rainwater for them to use.